In lieu of flowers memorial donations may be made to St. Jude Children’s Hospital and left at the funeral home. 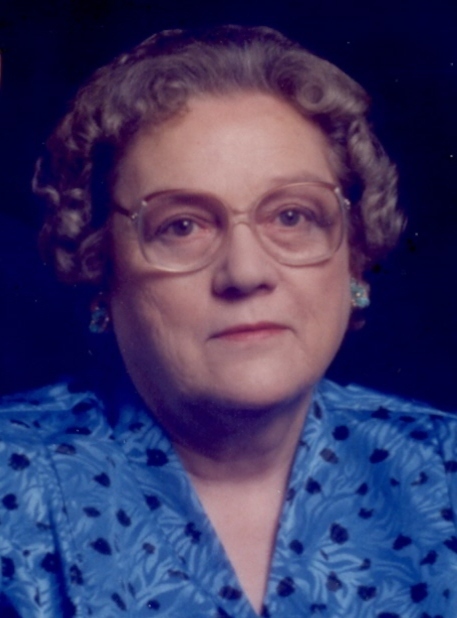 Minnie Marie Burns, age 89, of El Dorado Springs, Missouri, passed away December 10, 2011, at Moore Few Care Center in Nevada, Missouri. She was born May 18, 1922, to William Arthur and Martha Louise (Ellerman) Purtle, in Birdsong, Missouri. On February 17, 1940, Minnie was united in marriage to Virgil Willie Burns, Sr. at Osceola, Missouri. They lived in the Black Jack and Caplinger Mills area until 1950 when they moved to Vernon County near Dederick, Missouri. To this union six children were born: James Lavern, Curtis Dale, Minnie Pearl, Martha Joan, Virgil Willie, Jr., and Marilyn Kay. Preceding her in death were her parents, her husband Willie, two brothers: Calvin Purtle and Floyd Purtle; and three sisters: Zephie Ellerman, Lucy Burns, and Mabel Goodwin. Survivors include three sons: Lavern Burns of Lamar, MO; Curtis Burns and wife Winniford of Nevada, MO; and Virgil W. (Billie) Burns and wife Susan of El Dorado Springs, MO; three daughters: Minnie Pummill and husband Larry of Sedalia, MO; Joan Burns of Springfield, MO; and Marilyn Munckton and husband Steve of Blue Springs, MO; nine grandchildren; eight great-grandchildren; one sister, Allene Baker of Springfield, MO; and many other relatives and friends. Minnie was a housewife, a good cook, kept a clean house, and helped with the daily chores on the farm. She enjoyed quilting, gardening, and was a member of more than one sewing club. Family was important to Minnie, and her grandchildren were special to her. She will be greatly missed by family and friends.